Sorry for a bit of an offtop but I've just recently found a few evenings to have a look at my MLV files recorded since May 2018, do some postprocessing and editing. These are the first "real" videos in my life and first experience with video editing ever. This forum was actually the place, which made me aware that recording with 24..25 fps matters, that a 180° shutter matteras, why is a vario-ND filter a good idea and all that basic stuff. I've never really felt the video thing is for me and focused on stills only. Now it is just about to change, mainly thanks to you! Saying it shortly: the spendid quality of a final image, workflow (MLVApp! ), all the tricks & hacks you have developed are amazing. It's stunning how far you've pushed the cameras, how much you are able to squeeze out of them, despite it all needs a hard reverse-engineer work. These are great, terrific achievements! I am truly amazed of your work and fully appreciate it! Yes, we can't say that often enough! I have the same feeling of real deep gratitude for what other people are doing for me somewhere in the world... Most of the video aesthetics you see with the new cameras is not my thing. Only through Magic Lantern I get into a visual territory where it starts to be fun. What ARRI does with their cameras is a kind of a benchmark. They put the aesthetic image over tech specs and pixel counting. With the 5dIII ML raw I have a camera that feels like a cousin of the Arris:). We brought two movies to cinema and honestly I feel such a loyalty and love for MLraw that I prefer the compactness and the inconspicuousness over an ARRI - also for the future:). when i record crop 3x3 it's all ok, but when i zoom X5 to get 3.5k the images lag à lot in the liveview and MLV app too ! I don't know why. I have the same settings as in the installation video. The focus control via focus ring unfortunately means that the sharpness has to be changed in order to control it. For those that are curious, I had decided to record this set-up of myself (Thanks for the tip @BouncyBall) going through varieties of modes while utilizing HDMI output to an external monitor (so you can see what works and what doesn’t) as far as 5D3.123 is concerned when it comes to using latest experimental 4K_crop_rec stuff. What a treat to see no lag on the external monitor. I'm guessing the 5d3 doesn't support anything beyond 1080? It would be interesting to see if it's possible to do accurate monitoring in 1080 of the 1*3 binning somehow? Sorry if these are already answered, this is all new to me, but it definitely looks appealing! Where can I find the special build of silent.mo that allows returning to liveview after full-res silent pictures? I looked on Dfort's downloads page but can't see anything related to it. Any help appreciated! 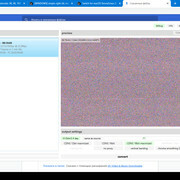 Can you compile crop_rec_4k_mlv_snd_isogain_1x3_presets_2019Feb14 also for 5d3 123 ? Where can I find the special build of silent.mo that allows returning to liveview after full-res silent pictures? Are you using a 7D? That camera doesn't work on the crop_rec_4k branch so you are a bit off topic here. It should be working in the unified branch. This was the fix. I'm currently working in extending and porting manual_lens_info to crop_rec. Made a PR here and uploaded a compiled version for all supported camera models at this download page. I need your help with testing because my camera is not supported on this branch, please report you findings! It include ELNS block in metadata, so most editor may fail to open to MLV files. Config.lua is different and use .lcf extension instead of .cfg. Please verify if there are some conflicts with any existing script (api should be the same). Please test overal stability especially when recording raw videos!!! Done for MLVApp. But it is 100% untested. Need such a MLV file. Some frames are enough. Thank you for sharing this is very interesting! I assume that there is no recording? Also did you test the UHD mode? If someone worked out how to hack the cf to a ssd this camera would be unstoppable! Could someone please clarify if anyone has managed too pull off 3/3.3/3.5K capture with a properly framed (not 5x) HDMI output? I'm assuming not, but wanted to be certain. Any bit-rate. Cheers. Here is a mlv file done with Full-Res Silent Pictures, with 2 different lenses selected from the script. Thanks for the clip. I added some macro's to the code for easy testing via qDebug() function, if someone likes. Seems to work fine. This was never an issue in past, as I can remember. But okaaay. So what should be the correct name of your lens used? "Samyang 8mm f/3.5 UMC Fish-Eye C" (32 chars) or "Samyang 8mm f/3.5 UMC Fish-Eye " (31 chars)? Edit: I think I got it fixed. Also for DNG export. This was never an issue in past, as I can remember. This issues was potentially already present but not noticed before (it's related to the issue reported from JohanJ in this thread but present in all other branches), because probabily none of the chipped Lenses have long name. I have previously modified LENS block to safely add termination char as showed in previous links, but then g3gg0 suggested to don't use it as he prefer to not have mandatory "\0" in the string of a MLV block, so stick with this method (you can find it in all the other branches). In practice: LENS block is without termination character with lens name >= 32 byte (otherwise should be copied from lens_info.lensName when assigning is done but only with the a1ex's fix linked before applied to source code), while ELNS will have it as safety in mlv.c when building block due to snprintf(). So what should be the correct name of your lens used? "Samyang 8mm f/3.5 UMC Fish-Eye C" (32 chars) or "Samyang 8mm f/3.5 UMC Fish-Eye " (31 chars)? It should be none of the above but "Samyang 8mm f/3.5 UMC Fish-Eye CS II", assuming you want to keep info showed in the same way (ie. not replicating some infos in separate textbox). It would contain the complete name or the exact name if less than 32 bytes length (corner case of lens with 31 chars + "/0" added from ML code) compared to the one in LENS. Thank you for adding support to MLV App! No prob. But now we should think about what we could do with that new info. Until now it is just there (in memory and code). Do somebody know what can i do with this? I can play this in camera with mlv_play. But on PC it look like broken. Before i used raw2cdng. But it isnt work with 4k. I use 5dm3 123. SanDisk 128gb, 160mb\s. i tried use different settings for record. For this i used mvl_lite and crop_rec. Same results for everything. Mind if you could share your original trimmed MLV file? Have you tried MLV App for Windows yet @Koltoshow? I'm getting often pink / blue frames and tearing if I turn from PAL to NTSC and select 1280x720/60fps – then crop mode 1080p45/48 3x3. Info shows 48fps. I get running for about 10secs with the pink/tearing then stops and runs screen errors "warning double buffers…et al"Have to restart and batt-pull. This doesn't happen if I change back to PAL and select 1280x720/50fps. This is what we call "corrupted frames". This may happen for EOS M for bigger resolutions or faster fps. Always make sure to double press canon menu button after having chosen your setting. For 46/48fps disable global draw for less corrupted frames. @masc Thanks! – I'm on 5D3 1.2.3. Does the same fix apply? For those who want to shoot Full HD+ 16:9 ratios (only) in crop_rec_4k build(s) – and are having trouble visualising what the various crop modes do to field of view. I know I do! I made a graphic showing the 16:9 ratios I've been able to use so far (5D3 1.2.3). Please let me know errors or if I've missed something vital! I've lost myself in a sea of random resolutions and aspect ratios! 3) Don't use the Zoom/Magnify button!